Gluck’s deeply moving masterpiece returned to the Met in 2007 after an absence of 90 years, featuring an all-star cast vibrantly conducted by Louis Langrée in his company debut. 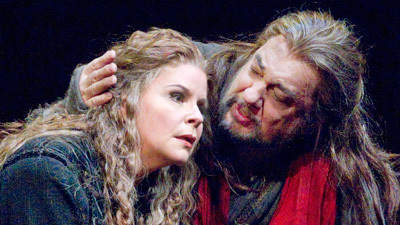 Oreste, sung by the incomparable Plácido Domingo, is hounded by the furies for murdering his mother. He has been shipwrecked on Tauris where he and his friend Pylade (Paul Groves) are condemned to die at the hands of the priestess Iphigénie (Susan Graham). At the sacrificial altar Oreste and Iphigénie suddenly realize they are brother and sister—and face slaughter by the angry king Thoas (William Shimell).